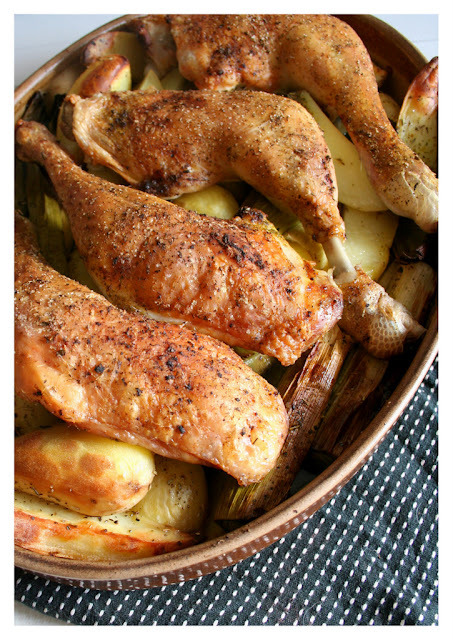 I often use leeks in cooking--soups, leek tartes, in any potato dish.....but I have never used them as a 'featured' side dish before. Many people won't touch them, or attempt to make them because they have the bad-rep of being mud or dirt ladden, onion-y, tough over-grown onions. But quite the contrary--they are not that difficult to prepare--they just need a good rinsing between the outer layers, become sweet and tender with little effort--and a big bonus--I rarely ever am reduced to tears when cutting them or chopping them. For the record,they are also a good source of Dietary Fiber, Vitamin B6, Iron and Magnesium, and a very good source of Vitamin A, Vitamin C, Vitamin K, Folate and Manganese. 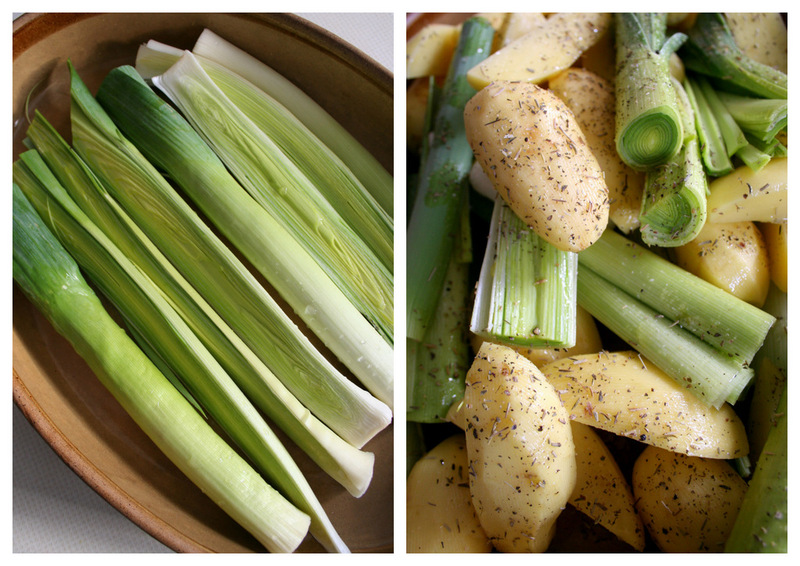 Instead, if you are keen to fall in-love with leeks--try this instead. Simple. Yummy. Comforting. 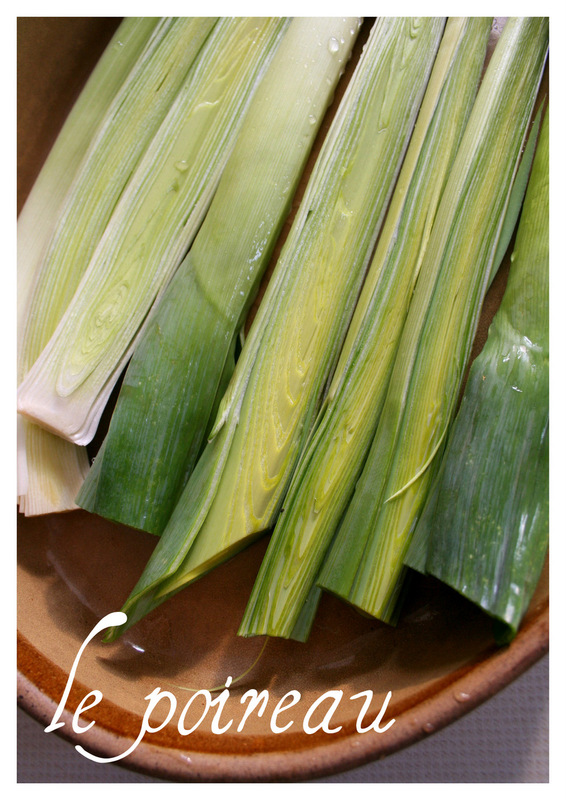 5-6 medium to large leeks, dark green ends trimmed and rinsed clean of sand or dirt between layers. I cooked these as a bottom layer under roasted chicken. Otherwise, if you are just doing the leeks--you lay a single layer in a casserole, drizzle with olive oil and salt and pepper and cook them at 350F for 30 minutes--to keep them from browning too much, add the stock half way through cooking. 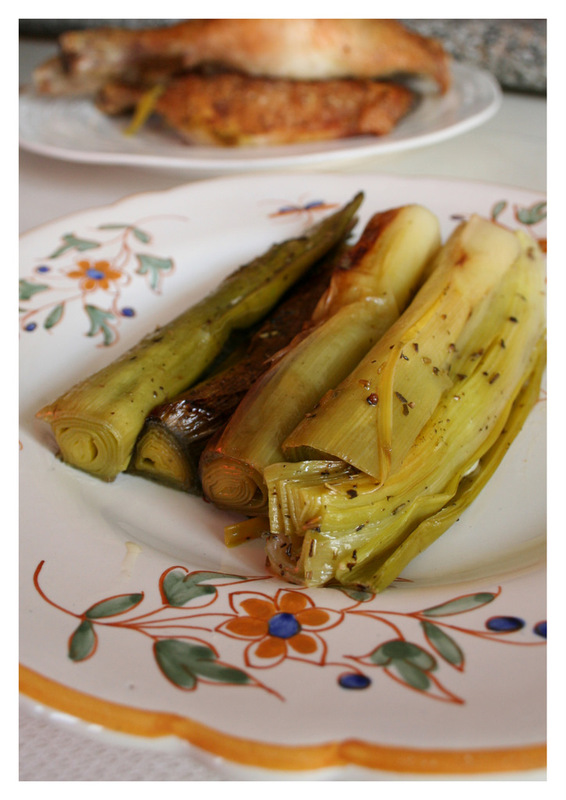 Braised leeks are a classic in French Cuisine--Julia Childs was the queen of this type of classic French side-dish....I think I will stick with Julia (at least for the leeks) and stay with Mirielle for the Veuve----. Oh I so want to dine at your house. You seem like the most fantastic cook.